You might think that life insurance isn’t necessary if you’re healthy, single, don’t have children or your partner is covered under a different plan. To put it bluntly: that’s simply not true. Accidents and illness can strike at any time and life insurance is more than just a frivolous payout for those you leave behind. If you do have a spouse or kids, a life insurance policy ensures your family can afford to stay in your home and pay any bills, including school tuition and supplies, groceries, clothes and utilities. It’s also peace of mind that every aspect of your life - from funeral expenses to outstanding student loans and credit card debt - can be handled without putting a burden on those you love. For the millions of Americans who use illegal or prescription drugs, it’s not just enough to carry life insurance - they need to know whether a tragic drug overdose death is covered under their current plans. In 2016, the National Institute of Drug Abuse (NIH) estimated that over 64,000 Americans died of drug overdose, a cause of death that’s questionable when it comes to coverage. Keep reading to learn if death by drug overdose is included in a standard life insurance policy. Does life insurance cover risky behavior, suicide and drug overdose? In short, sometimes. Life insurance payouts for drug overdose deaths depend on a number of factors, including the type of drug, whether the policyholder was honest about prior drug use on his or her application and if the overdose was accidental or intentional. In the past, exclusions existed for risky activities, including mountain climbing, scuba diving and even flying. These days, most life insurance companies have loosened the reins on exclusions, though it’s still very important to disclose any activities that could void your policy upfront. If you’re dishonest and die from something you didn’t make known in your application, every insurance company has an “incontestability period” during which they can dispute a claim based on incorrect information. The waters get murkier when issues like suicide and drug overdose come into play. Contrary to common belief, suicides can be covered by insurance - with a major caveat. Typically, suicide clauses state that premiums must be paid for at least two years before death by suicide is covered. This clause prevents someone from taking out a big life insurance policy on Monday, and then killing themselves on Wednesday so their family gets the lump sum. With drug overdoses, things get even more complicated. Intentional overdoses often fall under the suicide clause, though insurers could still deny the claim if they learn that the policyholder had a history of drug abuse and didn’t disclose it when applying. That’s because drug use can be explained as a “risky behavior” and just like scuba diving or mountain climbing, insurance companies expect you’ll be honest on your application. As if the threat of voiding your policy isn’t enough, failure to divulge information constitutes insurance fraud, a charge punishable by fines and jail time. While accidental overdoses aren’t subject to the suicide clause, they do fall under something called a contestability period. This gives the insurance company the right to investigate the cause of death within the first two years of a plan. Depending on what the insurance company finds out about the details of a drug overdose death, they could deny the claim. Does it matter if the drug was illegal or prescription? It depends, though based on other case studies, it seems the more important question is whether the overdose was non-accidental (self-inflicted) or accidental. Death by illegal drugs like meth, heroin or cocaine could be argued non-accidental, since the policyholder likely knew the danger of using such drugs. 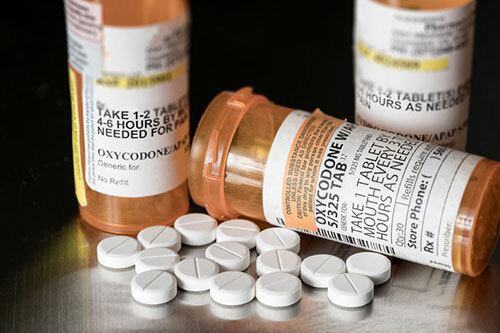 Death from lawfully prescribed drugs like Oxycontin or Percocet may be viewed as accidental since they’re prescribed by a licensed doctor. Again, the lines blur if someone is taking a prescription drug unlawfully, as the argument could be made by the insurance company that the person understood the risks involved. In most cases, drug overdose claims are dealt with on a case-by-case basis with the policyholder’s family fighting the insurance companies in court. In this common scenario, the family is at the mercy of the lawyers and the courts, so it’s hard to determine if the plan will pay without knowing the specific details. Can the insurance company request an autopsy or toxicology report? Yes, depending on your contract. If you’ve used drugs before, it’s likely that the insurer will include language giving them permission to research the cause of death via autopsy or toxicology. If you haven’t abused drugs before, you’ll need to read the details of your contract. Some insurance companies include standard language that allows them to order these types of tests at their discretion. Will I pay higher premiums for current or past drug use? When you apply, you may be subjected to a life insurance drug test. These blood and urine tests are often commonplace for everyone who applies for insurance. If you’re currently using illicit drugs, all insurance companies will deny your application, though exceptions are usually made for marijuana. That said, your premiums may increase if you disclose that you smoke weed or if you test positive for THC during your life insurance drug test. Your rate will depend on the reasons (medical or recreational) and the frequency you smoke. Some insurance companies are more lax than others, so it pays to shop around or work with an independent agent to navigate disclosing marijuana usage on your application. If you’ve been clean and out of rehab for the past three years, chances are good you’ll be approved for insurance, though your premiums will likely be higher. If you’ve been clean for 15 years or more, you shouldn’t have many issues getting a lower premium. Let’s say you tried an illegal drug like cocaine once or twice 10 years ago, but haven’t used drugs since. Are you required to disclose it? It’s unlikely that you’d need to and even if you did, most insurance companies wouldn’t bat an eye, especially if your other current lifestyle factors are favorable. How can I get approved for life insurance? JennyLife is the first app that makes it easy to apply for life insurance on your smartphone. Our team of insurance experts can answer your questions and help guide you through the process of securing life insurance for you and your family. Your history doesn’t have to define you. At JennyLife, we work with carriers who value and respect you. Download our app now for iOS and Android, and get approved for life insurance in minutes. Plans start at just $5.